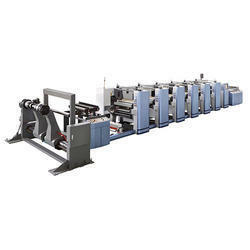 We are one of the leading manufacturers of 6 Colour Flexographic Printing Machine, Woven Sack Printing Machine,Roll Printing Machine,Paper Cup Printing Machine and Non Woven Flexo Printing Machine etc. 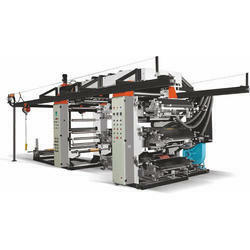 We offer Automatic Flexo Printing Machine to our clients. In order to fabricate this product, our professionals make use of the latest technology & high quality material available in the market. We provide this product in several specifications in order to meet assorted demands of customers. 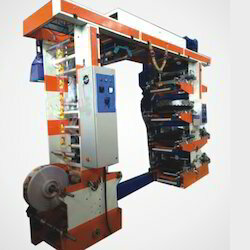 We are offering Printing Machine for Cement Bags which are fabricated at our world-class infrastructure. Our offered range has gained huge appreciation in the market as characterized by optimum performance and reduced maintenance costs. 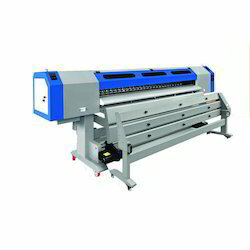 We are offering Flexographic Eight Colour Printing Machine to our clients. We are offering Flexographic Printing Presses which prints paper, board & corrugated sheets with either water based ink or solvent based ink. Hard Chromium Plated impression roller is provided for sharp impression, quality printing & long life. Variable speed controller with D.C. motor & Electronic Digital Sensor Counter with Panel Box is provided for economy in wastage and better quality. We are a well known firm, offering Non Woven Bags Printing Machine to our clients. Our skilled professionals manufacture Non-Woven Fabric Printing Machine from high quality raw material and latest technologies. Our offered machines are thoroughly checked by our quality inspectors against various parameters. Apart from this, the entire range can be customized as per the specific need of the client. Looking for Flexographic Printing Presses ?